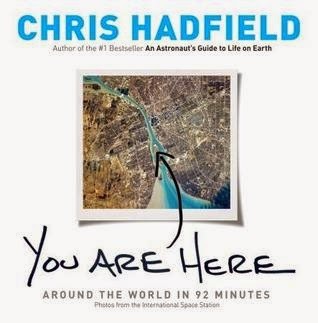 From Goodreads ~ In "You Are Here", astronaut Chris Hadfield creates a surprisingly intimate and compelling visual essay about the planet we live on, choosing the best from the thousands of photos he took on the International Space Station. 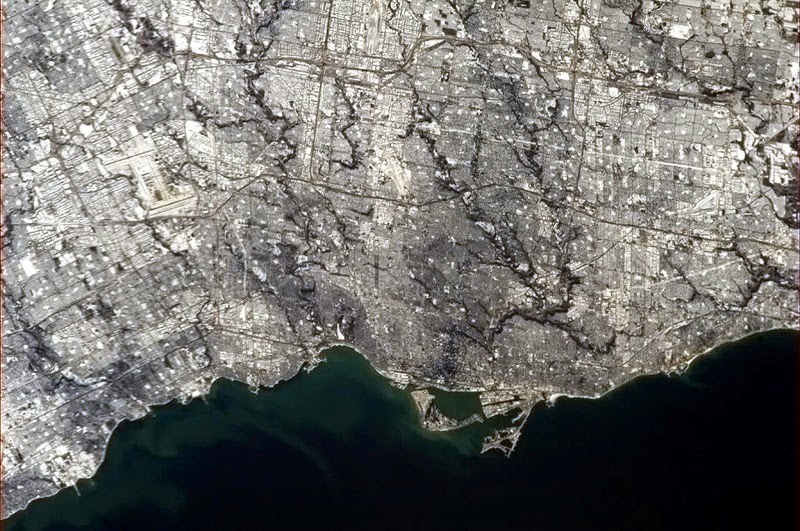 Chris Hadfield's new book shows us our home - our city, country, continent, our whole planet - from a unique perspective. The millions of us who followed Chris's Twitter feed from the ISS thought we knew what we were looking at when we saw his photos. This photo documentary shows us we didn't. We caught the beauty but missed the meaning. Curated from images never before shared, Chris's big picture reveals why our planet looks the way it does and why we live where we do. Chris sees more in these images than we do, not just because he's spent months in space but because his in-depth knowledge of geology, geography and meteorology allows him to read the mysteries the photos reveal. Divided by continent, "You Are Here" represents one (idealized) orbit of the ISS. This planetary photo tour - surprising, playful, thought-provoking and visually delightful - is punctuated with fun, fascinating commentary on life in zero gravity, too. In the spirit of his #1 bestselling "An Astronaut's Guide to Life on Earth", "You Are Here" opens a singular window on our planet, using remarkable photographs to illuminate the history and consequences of human settlement, the magnificence (and wit) of never-before-noticed landscapes, and the power of the natural forces shaping our world and the future of our species. This is a collection of pictures taken by Canadian astronaut Chris Hadfield during his 2,597 orbits around earth when he took about 45,000 pictures. There are pictures from all the continents ... Africa, Europe, Asia, Oceania, North America and South America. There are also comments, tidbits of information, comparisons to animals, etc. Can you see my place?! It definitely gives you a different view of places around the world. Some you'd never recognize if the author hadn't said what it was. I had originally borrowed this as an ebook from the Toronto library for my Kobo ... it didn't work well because the pictures were so small and the captions didn't match up so I'd given up on it. I enjoyed it a lot more as a real book.